When you think about America’s space program, you probably think about Neil Armstrong, Buzz Aldrin, and John Glenn. However, you might not even know these names today if it weren’t for some of the women that lent their dedication, perseverance, and sheer brilliance to successfully land an American on the moon. 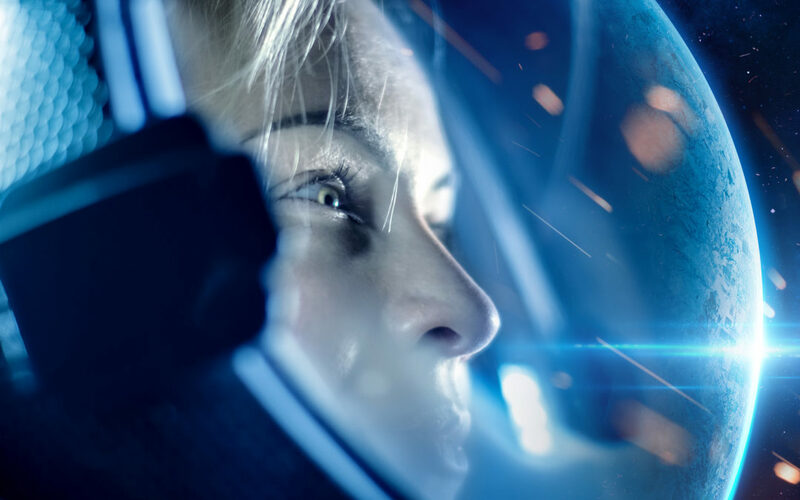 In honor of Women’s History Month, we’ll be discussing just some of the extraordinary women that not only contributed to but entirely revolutionized the spaceflight and technology industries. 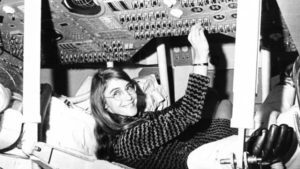 By the time she was 24, Margaret Hamilton had already received her undergraduate degree in mathematics, had been offered a job at MIT and, as a working mother in the coding field in the 1960s, was a female anomaly. Women in this time period did not traditionally hold positions outside of homemaking, raising children, or being school teachers – Hamilton knew she wanted more. While working at the MIT Instrumentation Lab, Hamilton programmed the spaceship that would one day take mankind to the moon and back. Before the Apollo program, there was no such thing as software. In fact, the word software was nowhere to be found on the original Apollo engineering requirement documents. 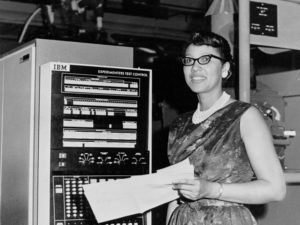 She and her (male) colleagues pioneered computer programming software as we know it by writing code for the world’s first portable computer. Although she was often criticized for not being a full-time mom to her daughter Lauren, Hamilton knew that if anyone could keep their career and raise a child, it was her. Lauren spent many days in the programming lab as Hamilton wrote code for the missions. Today, Hamilton is revered for creating the code that got men to the moon and pioneering modern software engineering. Katherine Johnson was born and raised in rural West Virginia. As a young girl, Johnson loved to count just about anything – she was a math whiz who had finished her college degree as a math major by the time she was 18-years-old. In 1961 Johnson calculated and plotted the trajectory that Alan Shepard’s space capsule would follow as it left Earth. In 1962 she calculated the flight trajectory for John Glenn’s orbit around the planet. However, according to Johnson, her most impressive accomplishment was helping the Apollo 11 mission get to the moon in 1969. She retired from NASA in 1986 and was awarded the Presidential Medal of Freedom in 2015 by President Obama. 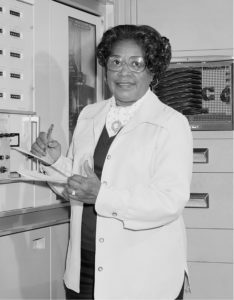 Mary Jackson was the first African-American mathematician and aerospace engineer employed by NASA. She was born in Hampton, Virginia, where she graduated from an all-black school with honors. In 1951 she was recruited by the National Advisory Committee for Aeronautics, which later became NASA. In 1953 she petitioned the University of Virginia, then an all-white school, to allow her to take night courses that would allow her to train as an engineer. She was granted her petition and began taking the courses in addition to working a full-time job. After years of training to become an engineer, Jackson was promoted as the first black female NASA engineer in 1958. After 34 years with NASA, Jackson took a demotion in order to be an administrator in the Equal Opportunity field within NASA to highlight women and people of color within the organization. In the 1960s a group of 13 female pilots participated in a program to be the first American female astronaut. They were subjected to the same tests and physiological screenings that the Mercury Seven, a group of seven male test pilots, were subjected to. 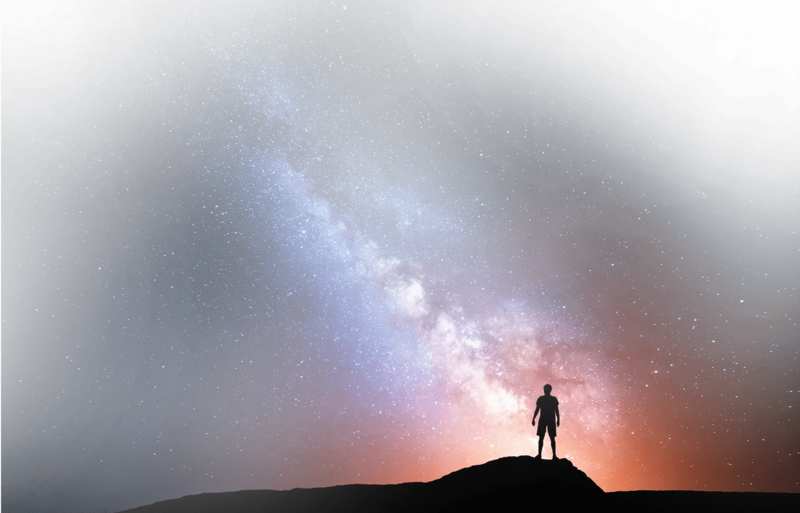 Space medicine experts Donald Flickinger and Dr. Randy Lovelace believed that women could actually be preferred candidates to men due to them being lighter on average and consuming less food and oxygen. Flickinger and Lovelace decided to test out their theory by recruiting female pilots to be candidates for the secret Woman in Space Program, which was not sanctioned by NASA. Jerrie Cobb was the first of their female candidates. Cobb passed all of the tests the male candidates underwent and even surpassed them in some categories. Lovelace recruited another two dozen female pilots to undergo the tests. Only 13 of the women passed the tests and were dubbed the Mercury 13. The Mercury 13, however, were never allowed to leave the ground. Days before their first flight simulation at a Navy facility in Pensacola, Florida, the Navy abruptly canceled the testing after learning that the program was not sponsored by NASA. The Mercury 13 did not find support within the government to persuade NASA to allow them to fly. It wasn’t until 1983 that female astronaut Sally Ride was able to launch into space. Today, women continue to make cosmic history as astronauts. The 2013 astronaut recruit class was the first to have equal numbers of men and women and today there are two women on the commercial spacecrafts made by Boeing and SpaceX. Experience a rocket launch up close and personal this year! Order your Space Coast Vacation Planner today and begin preparing for the trip of a lifetime.